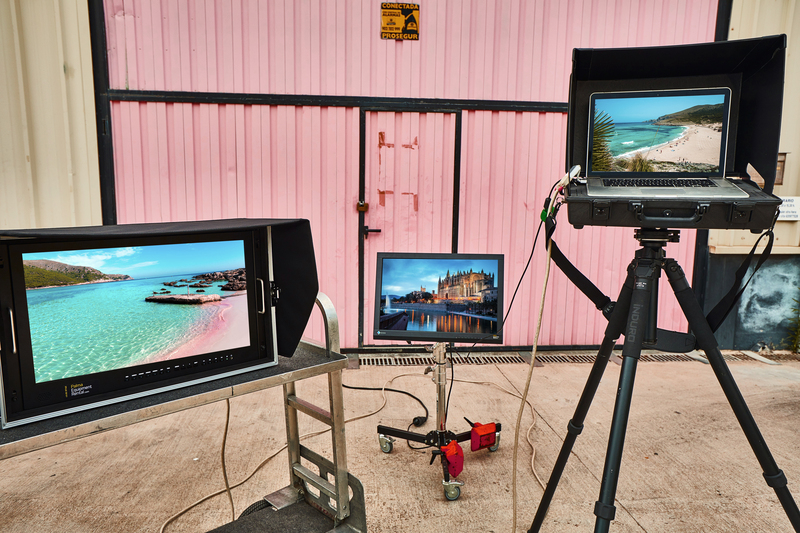 We supply all types of professional monitors and screens for the Photo and Video industry when shooting in Majorca. We have colour correct Eizo screens for retouch and accurate colour grading as well as battery operated 4k Production monitors and small on-camera monitors as well as electronic viewfinders to expand the video capabilities of any camera, most useful for when shoot with a DSLR. Look no further for your fashion foto or video and moving images need when shooting on location or in the studio when visiting the Balearic Islands.